Sardinia has long been known as one of the world's most beautiful tourist destinations, and it isn't hard to see why. 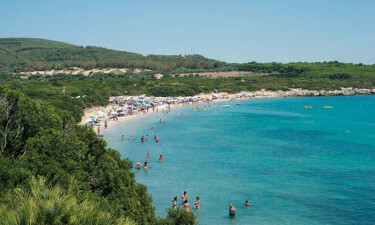 This extremely well-equipped luxury camping site is situated on the lovely Sardinian coast, right by the town of Alghero which is sometimes known as 'Little Barcelona' thanks to its Catalonian feel and historic architecture. This site also has direct beach access. This wonderful luxury camping site is the perfect destination for a luxury camping trip. 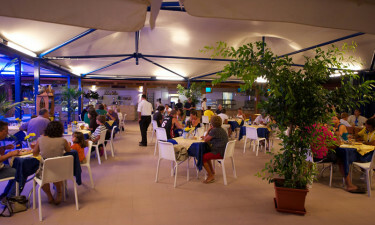 Stay in a lovely mobile home and experience the best the site has to offer, including a bazaar and market for groceries, as well as plenty of food options including a pizzeria serving traditional Italian dishes. Why choose Camping Calik Blu (Laguna Blu)? Your camping holiday will be stress-free and exciting thanks to the range of on-site facilities. The site is situated right on a large beach that makes the ideal spot for taking a dip in the sea, or building sandcastles with the kids. 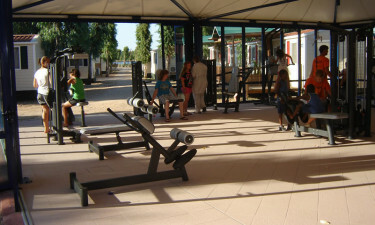 The friendly site staff run shows and performances every night, as well as games and sports during the day. They make sure the entire family has fun! Book your dream holiday without hassle through LuxCamp.